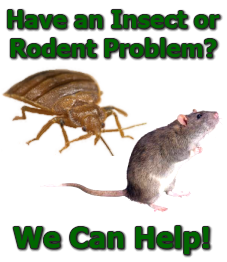 Sterling Insect & Pest Control is a locally owned and operated business providing the very best in lawn care and pest control services since 1974. We use only top shelf products for servicing your property and we employ trained, experienced professionals that have the ability and knowledge required to resolve any lawn care or pest control problem you may have. We tailor our programs to fit your needs and you’ll never receive any treatment or service that isn’t absolutely necessary to ensure your landscape is healthy, beautiful, and weed and pest free. We practice Integrated Pest Management (IPM) which allow us to minimize the usage of pesticides that if used incorrectly could be harmful to the environment. If all-natural lawn care or pest control is something you’re interested in, we also offer 100% natural programs as well! 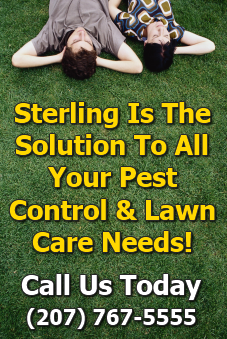 So, Contact Us today and let us show you why Sterling is the solution to all your lawn care and pest control needs! Contact Us Today and Let Us Show You Why Sterling Is The Solution!